Want a clean car all the time? JOIN THE CLUB! When you sign up for a Wash Club membership with Rich’s, you can wash and vacuum daily for one low monthly fee. No kidding. All month long you can have a clean, dry, and shiny car without the hassle. Each club member receives a special barcode that makes zipping in and out a breeze. With access to all of our locations across the Gulf Coast, we know you’ll love it! Uber, Lyft, Sidecar or taxi driver? We’ve created the new Corporate Wash Club just for you! 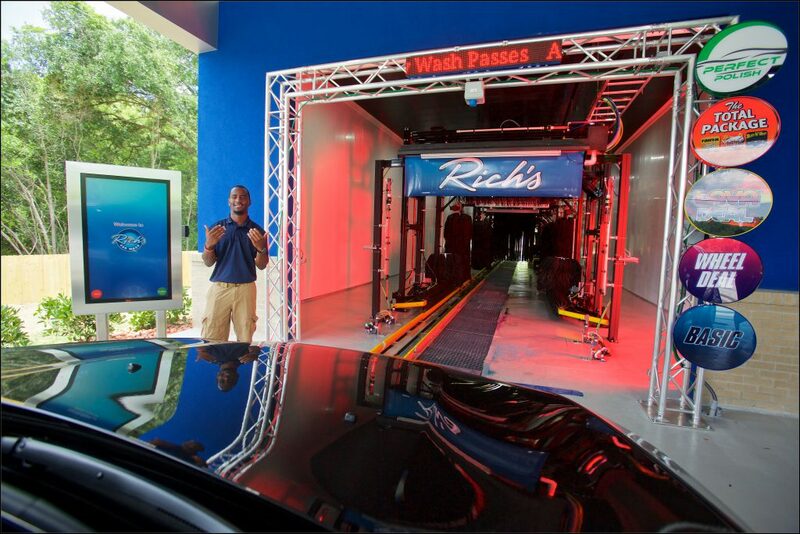 Wash at multiple Rich’s Express Wash locations with your pass! Your payment on file will be auto-billed each month, so no need to stop to pay. Members receive an RFID sticker which is scanned upon your arrival, so the gate arms opens automatically. Memberships can be canceled without a fee at any time in person at all eligible sites. Look and feel good with a car that’s always clean! See Locations for specific packages and deals!